Knowing the subsurface condition of a property or corridor is vital to a project’s success. Our comprehensive approach of Site Exploration, Laboratory Testing and Engineering Analysis provides our clients with the critical data they need. 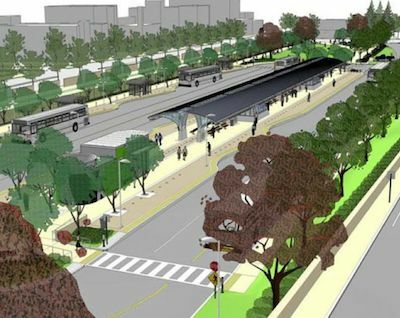 VN Engineers, Inc. was hired as geotechnical consultants for the southern portion of the proposed Busway between New Britain and Hartford Connecticut. 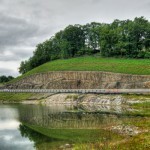 This project involved rehabilitation to existing structures along the proposed Busway alignment as well as the construction of a new bridge over route 175 in New Britain. VN Engineers reviewed existing geotechnical data pertinent to the project and coordinated the final subsurface soil exploration. VN Performed boring stakeout at locations of all bridges, drainage structures, overhead sign supports, retaining walls and roadways within the project area in preparation to the final SSE program. Supervision of the drilling operations was provided along with field inspections of site soil and bedrock. Preparation and laboratory analysis of soil and rock samples collected from the vicinity of the various structures along the Busway alignment were conducted in order to provide geotechnical recommendations and parameters including soil and rock bearing capacity at each structure location. 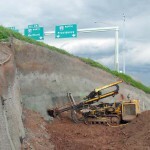 Separate geotechnical reports were provided for each structure to be rehabilitated or constructed, additional reports were also submitted for recommendations regarding the roadway and retaining walls along the proposed busway alignment. 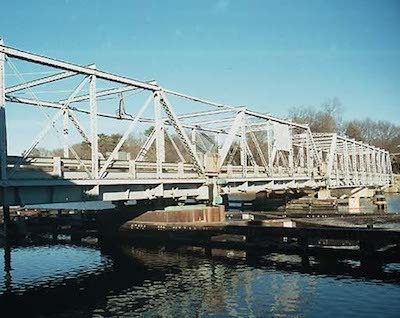 This bridge was constructed in 1968 and there is no record of the structure being rehabilitated at any point. The bridge has two vehicular lanes and no sidewalks. VN Engineers scope was created under the assumption the bridge would be replaced with a new multiple cell precast concrete box culvert. VN Engineers responsibilities included the preparation of a subsurface exploration program to determine the location of the proposed soil test borings. 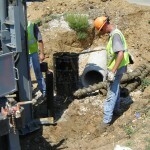 The project required four soil borings. VN Engineers Laid out and observed test borings in the field. Assessed the presence of potentially deleterious, chemically active or corrosive material or condition or presence of hazardous/toxic substance. Evaluated the geological structure affecting bridge approach foundations. Evaluated site seismic activities, liquefaction and earth related design criteria. VN also Evaluated subsurface exploration data, field and laboratory test results. Made necessary studies and analyses of foundation conditions for the proposed structure. Prepared geotechnical report and made recommendations for foundation type and dewatering. Collected and analyzed samples of stream bed materials.